Work-related stress is a rampant problem in organisations all over the globe. There are a number of ways in which work-related stress can manifest itself. 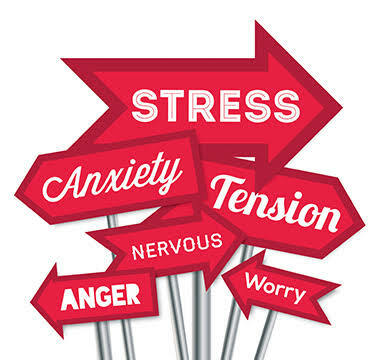 These signs and symptoms are classified into 3 categories: Behavioural, Psychological and Physical. In addition, when working in a group, such signs can be easily spotted by the supervisor if there are increased complaints by the other members of the team or several disputes or dissatisfaction in the group. Also, individuals showing behavioural symptoms of stress may take more time to deliver assigned deliverables or make more errors and deliver sub-standard work due to loss of enthusiasm for the work. It is important to note that what acts like a stressor for some employees might form a part of challenge for some other employees. This is dependent on a number of factors like the individual’s personality (Type A or Type B), psychological make-up, status of personal relationships and health. Colleagues and supervisor of employees recognize such behavioural symptoms at an early stage so that proper intervention measures can be taken before the problem becomes acute. This is important for the well-being of the employee, maintenance of a healthy work-life balance and also to ensure there is no loss of productivity of the organisation. I like how you mentioned that behavioral problems can occur due to bullying and politics in the workplace.